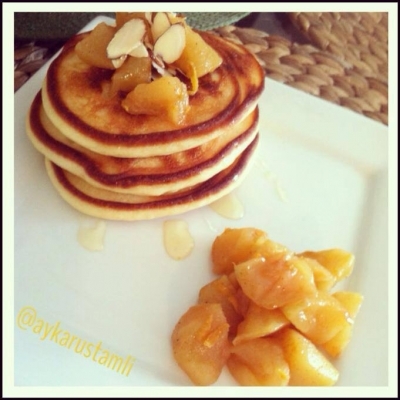 Delicious and moist pancakes that will satisfy everyone's taste. This recipe makes very moist and yummy pancakes and actually works perfectly for a waffle maker as well. Recipe: 1/2 cup dry oats, 1/2 cup 1% cottage cheese, 3 egg whites, 1/4 small banana, 1/2 tsp baking soda. Blend in a blender and cook as regular pamcakes with coconut oil. Stack 'em up, baby. The entire barch makes about 350 cal. Enjoy!